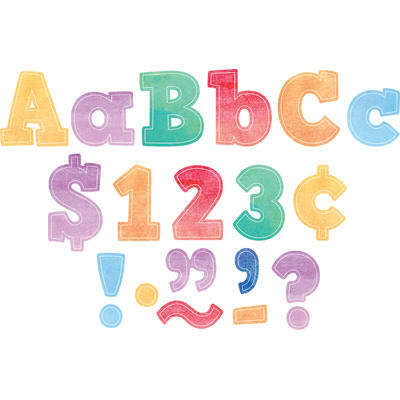 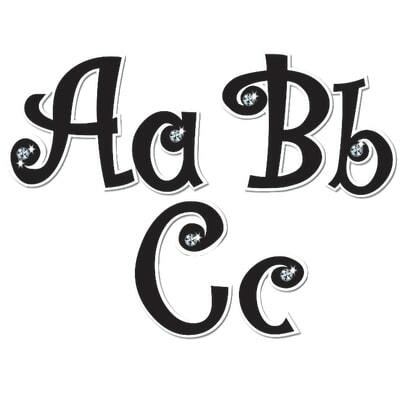 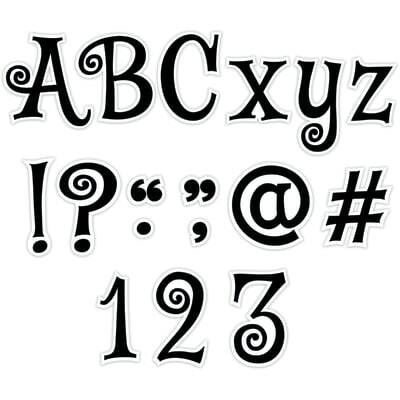 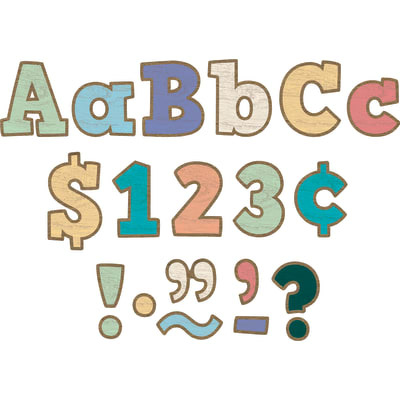 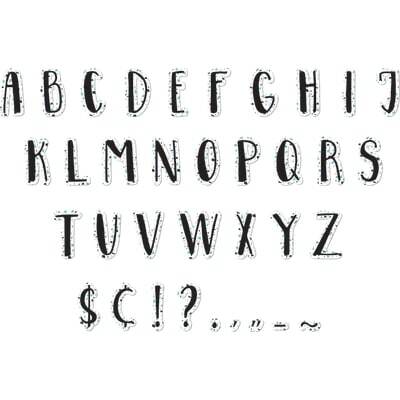 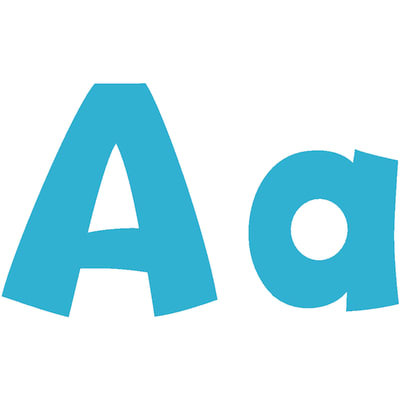 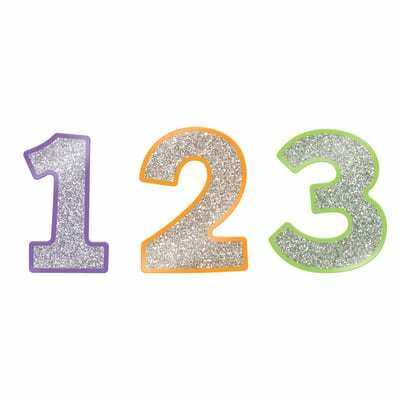 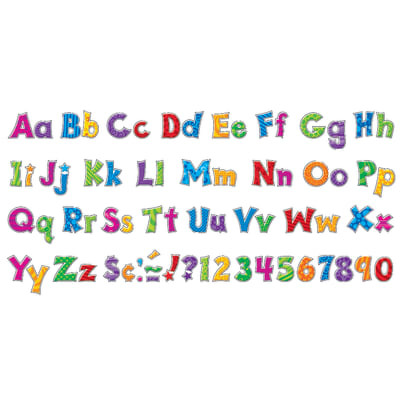 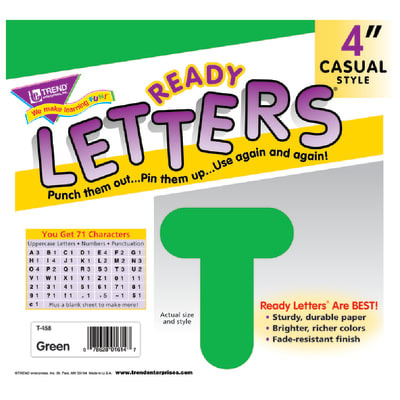 Each set contains 50 uppercase letters, 10 numerals 0-9, and 10 punctuation marks. 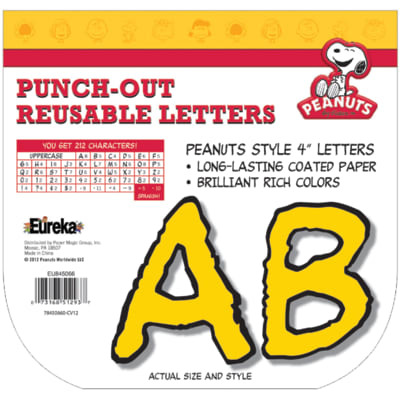 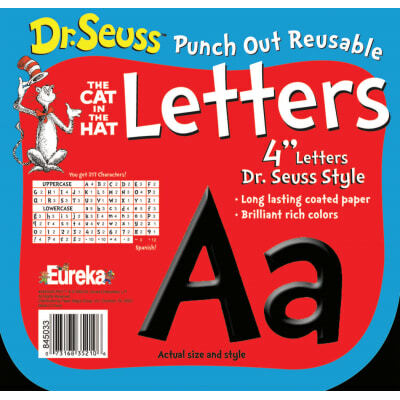 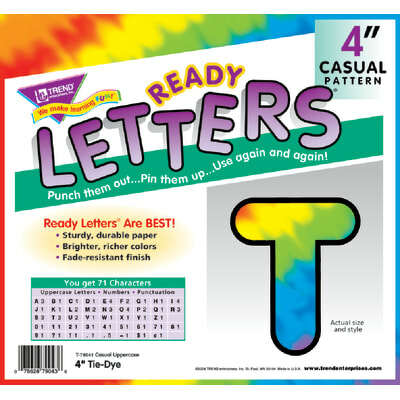 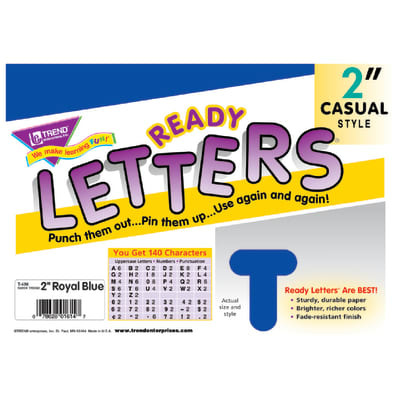 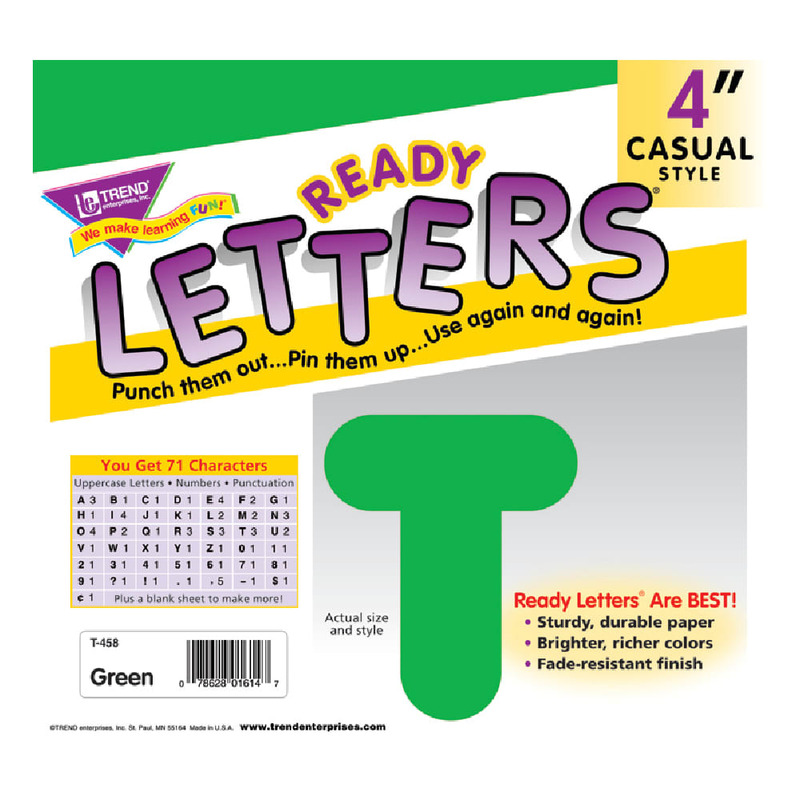 Punch-out, reusable letters. 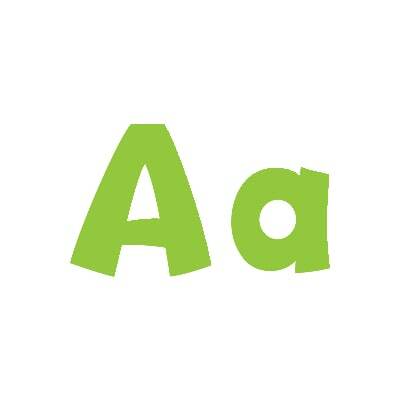 110 characters.